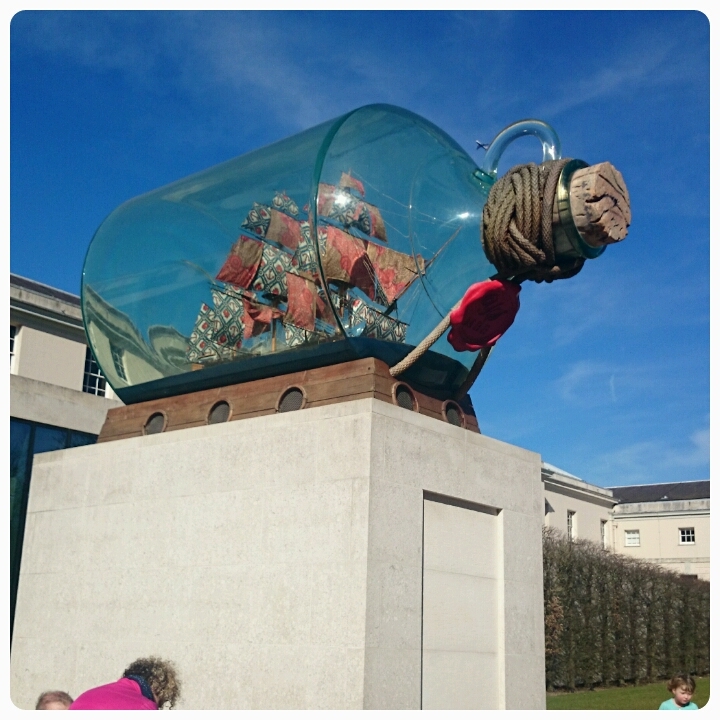 Fab photo - that ship in the bottle looks great against the beautiful blue sky. How fascinating - and so much larger than the usual ship in a bottle. Where is that? Wow. I am so fascinated by ships in bottles. I have a tiny one at home but this is impressive. Whoops, not sure what went on there, he he! Love the fabrics on the sails. wow that's an impressive ship in a bottle ...where is it? Huge ship in a bottle, where was that? My grandad or grandma used to have one and I used to always wonder how they got it in! Had me mesmorised. Just how do they make these things, especially onthat scale?? That's fabulous and quirky. Where is it? Is this in Greenwich Chantelle? Even when the bottle is large, still don't know how they do that! Cool pic Chanelle! This was a Greenwich yes? that's a brilliant photo. such a gorgeous sky and the ship is amazing in that bottle.